Technology is changing how ecologists study bird migration, from the study of advanced radar systems to the use of miniaturized tracking devices on individual birds. One disturbing finding from radar studies is that the volume of birds migrating along the east coast has declined by about a quarter in the past decade. Common Murre parents exchange information about their condition when they preen each other after a foraging partner returns to the nest. Preening takes longer when one partner is low in weight, and the more fit partner may go out to forage even if it is the other partner's turn. The interactions may boost a pair's long-term success. A methane vent at a former landfill in the NJ Meadowlands singes the wings of large birds and kills smaller ones. Birders like Keith Russell have shown the value of Philadelphia's parks as bird habitat. A colony of Yellow-crowned Night-Herons is nesting along Jones Falls in Baltimore. Early arrivals to a new ecosystem diversify quickly, like Darwin's finches, but their long-term success depends on other species that join them later. Overestimated range sizes for endemic birds in India may make it harder to identify their true conservation statues. 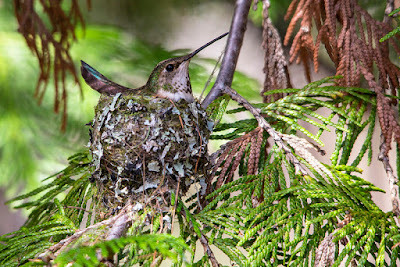 Birders are needed for CLO's NestWatch program. The Prairie Ecologist: How Small Is Too Small? This week the Trump administration announced a review of all national monuments over 100,000 acres designated during the past 20 years, with an eye to modifying or possibly revoking the designations. Most of the monuments are in western states, but one is in Maine. It is unclear whether presidents have the legal authority to revoke designations made by their predecessors, though Congress may do so. On this year's Earth Day, the prospects for the environment looked especially grim. This Saturday is the People's Climate March. Organizers face a difficult task in turning the protest energy into a broader movement to combat climate change. The Trump administration's proposed budget would eliminate all funding for Chesapeake Bay restoration even though the project has shown signs of progress and federal involvement is key to protecting the watershed. Americans still have not fully learned how to live safely alongside large carnivores, and that puts bears and people in danger. As climate change reduces bears' natural foods, conflicts are likely to get worse. Caterpillars of the Greater Wax Worm moth have been found to eat, and possibly digest, plastic, which opens the possibility of finding a way to biodegrade plastics. A survey by the US Fish and Wildlife Service found that American understand the benefits of time spent outdoors but make little time to do so. A series of questionable management decisions led to the decimation of the Bow Valley wolf pack in Alberta. Conservationists are trying to create wildlife corridors between large protected areas in New Jersey's Highlands and Ridge and Valley provinces to link the state's Bobcat populations. New Jersey's DEP is proposing a stewardship program to protect forests on private land. This week is National Park Week, and many national parks are great birding locations. 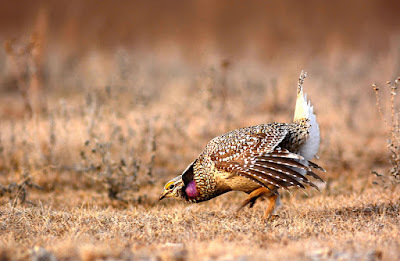 Here are the top 25 national parks for bird diversity and a full ranking by birds recorded. A study of stable isotopes in feathers of ducks collected by hunters suggests that boreal wetlands are vital to the health of North American waterfowl populations. Ecologists are studying whether birds like the Barnacle Goose can adjust their migration schedules to match the advance of climate change. Birding by ear is a useful tool for finding and identifying birds. Here is an explanation of the different types of vocalizations birds make. Eastern Wood-Pewees sing shorter songs in response to traffic noise in the Washington DC area. Duet dancing is more important than male singing for the Java Sparrow's courtship process. Noah Strycker discusses his birding experiences in an interview. Some researchers are encouraging the adoption of shade coffee farming practices in Colombia. The 2016 Garden Birdwatch recorded high numbers of thrushes compared to previous years. The New Jersey Bird Records Committee published its spring list updates (pdf). The EPA may be more vulnerable to attack under Trump than previous Republican presidents because of right-wing control of the government and because the agency's successes have made environmental issues seem less pressing for the public. Antarctica's remoteness gives it some protection from ecological degradation, but still faces threats from climate change, pollution, and overuse of natural resources. The laws governing water rights in many western states need updating to take account of current and future environmental needs. Here is a gallery of insects carrying milkweed pollinia. Biologists expect additional wolf packs to form in western and southern Oregon. Citizen science has helped link shorebird decline to the loss of mudflats at migratory stopover sites. The Snail Kite is one of the world's most specialized raptors but has adapted to eating invasive snails in addition to the native apple snails it prefers. This week PBS ran a special on the conservation of Puerto Rican wildlife, including the endangered Puerto Rican Parrot. A sediment core full of penguin guano led to the discovery of a lost Gentoo Penguin colony decimated by a pre-modern volcanic eruption. 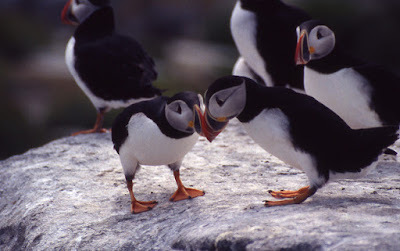 Puffins that stay close to their partner during migration have more chicks. The ammonia in seabird guano helps create localized cooling effects in parts of the Arctic with nesting colonies. Chiffchaffs, like many other birds, are named for their distinctive song. 10,000 Birds: Endangered Species Act: Delisting the Black-capped Vireo? Jeff Ollerton's Biodiversity Blog: A fossilised flower in amber – with its pollinator! Many important but inexpensive programs are targeted for steep funding cuts in the Trump budget. Among them is Superfund, which cleans up toxic waste sites. Climate satellites and data collection are also targeted. Upcoming naval exercises in the Gulf of Alaska pose risks to salmon, whales, and seabirds. In the face of attempts to weaken the Endangered Species Act, Rep. Raúl Grijalva counters claims that the law has been a failure. The fight over public lands continues, sometimes pitting conservatives against each other. The increasing use of road salt is causing a salinity problem in freshwater lakes. This may be a very bad year for Lyme disease due to the warm winter and a boom in the white-footed mouse population. Thanks to unfavorable weather conditions, 70% of British butterfly species declined in 2016. Here is a profile of Ron Shields, a nature photographer who frequents the Meadowlands. Following a rainy winter, the drought warning has been lifted in 12 NJ counties but is still active in Somerset and Hunterdon counties since Round Valley and Spruce Run are still less than 3/4 full. Spring is a good time to look for bee flies. POWWW is a nonprofit organization that works to protect land in Morris County, New Jersey. Mature Golden Eagles will migrate north even through bad weather so that they arrive in time for nesting, while Golden Eagles that are too young to breed take their time. 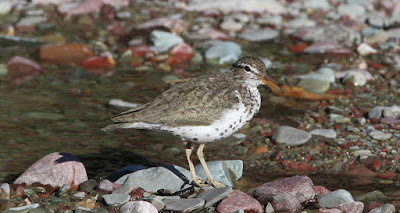 New studies are linking breeding populations of Semipalmated Sandpipers with specific wintering areas in South America. A newly-discovered fossil penguin foot shows that penguins diversified early in the Palaeogene. A new citizen science project focuses on the songs of female birds. Birds at inland wetlands in Australia have benefited from this year's heavy rains. Here is a profile of Peter Dorosh, a birder and park employee at Prospect Park in Brooklyn. Bird Studies Canada is adding survey data from remote areas of the boreal forest to eBird. A Common Yellowthroat got very lost and ended up in Japan. There are a few bird-related hashtag games on Twitter. Bug Eric: Predator and Prey: Ants versus "Lions" and "Tigers"
BirdsCaribbean: First Photographic Record of Kirtland’s Warbler in Cuba! A study linked pollution from a coal-based energy plant in Pennsylvania to low birth weight in four wealthy New Jersey counties. There could be major outbreaks of Lyme disease this year. According to an ongoing study of Colorado's Black Bears, climate change rather than population growth is what sparks conflicts between bears and humans (such as raiding trash or killing domesticated animals). That has implications for management policies, including the use of hunting to reduce bear populations. The rare Quino Checkerspot is returning to San Diego NWR. Sea level rise is the most obvious threat to coastal salt marshes, but an overdose of nitrogen may also be harming them. New Jersey's DEP chief wants to create more forest management plans like the one for Sparta Mountain. The National Park Service published a new brochure on how climate change affects national parks (pdf). Meanwhile, the Bureau of Land Management changed its website's header image from a natural landscape to a wall of coal. For those in New Jersey, the Third Annual Raritan River Week will be at the end of April.